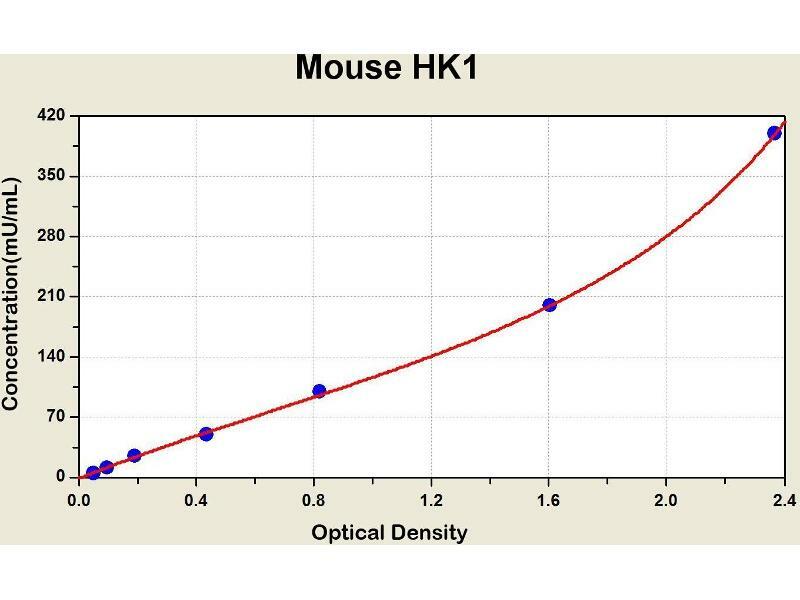 Diagramm of the ELISA kit to detect Mouse HK1with the optical density on the x-axis and the concentration on the y-axis. 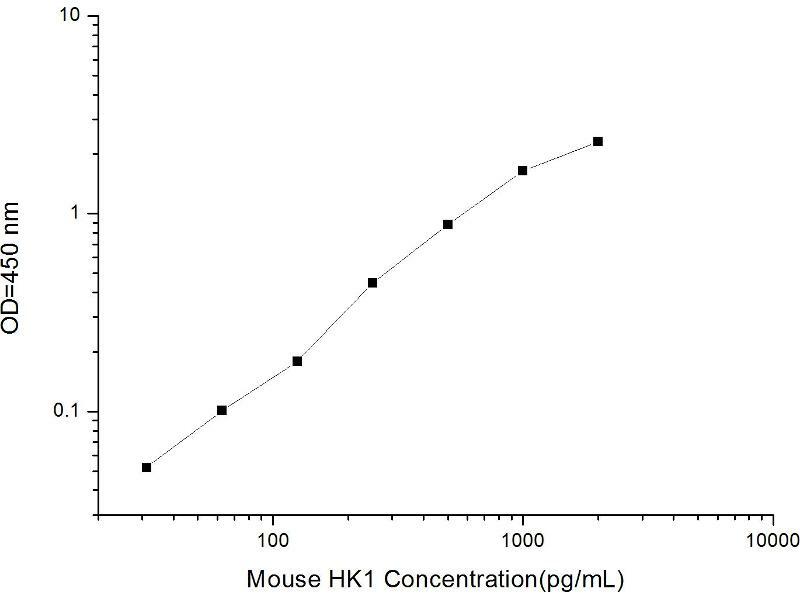 Diagramm of the ELISA kit to detect Rat HK1with the optical density on the x-axis and the concentration on the y-axis. Hexokinases phosphorylate glucose to produce glucose-6-phosphate, the first step in most glucose metabolism pathways. 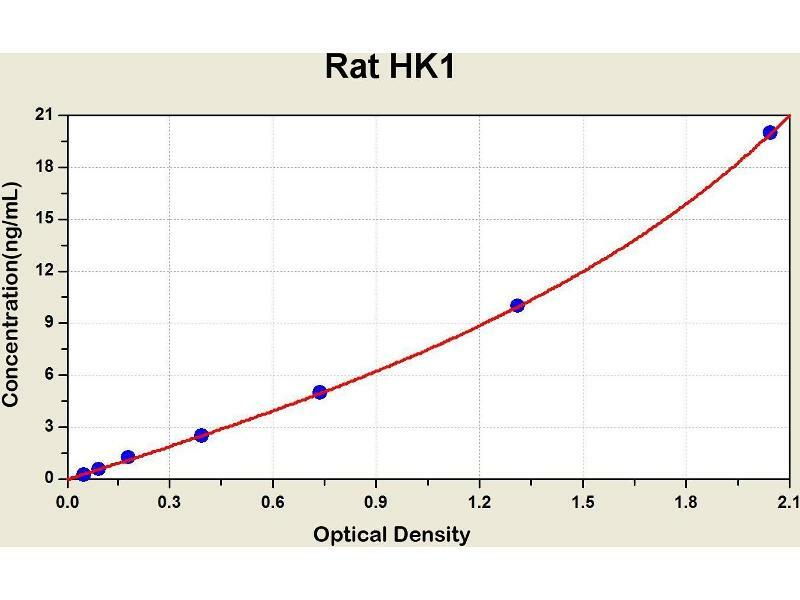 This gene encodes a ubiquitous form of hexokinase which localizes to the outer membrane of mitochondria. 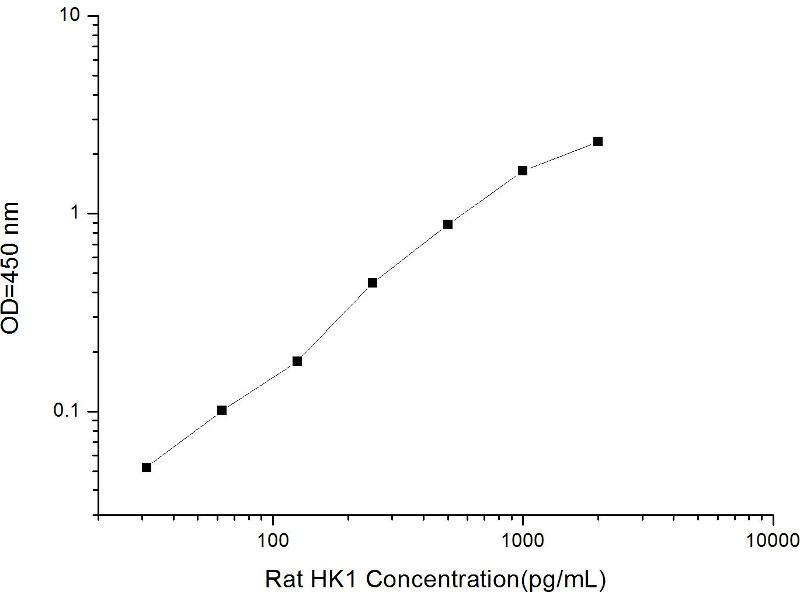 Mutations in this gene have been associated with hemolytic anemia due to hexokinase deficiency. Alternative splicing of this gene results in five transcript variants which encode different isoforms, some of which are tissue-specific. 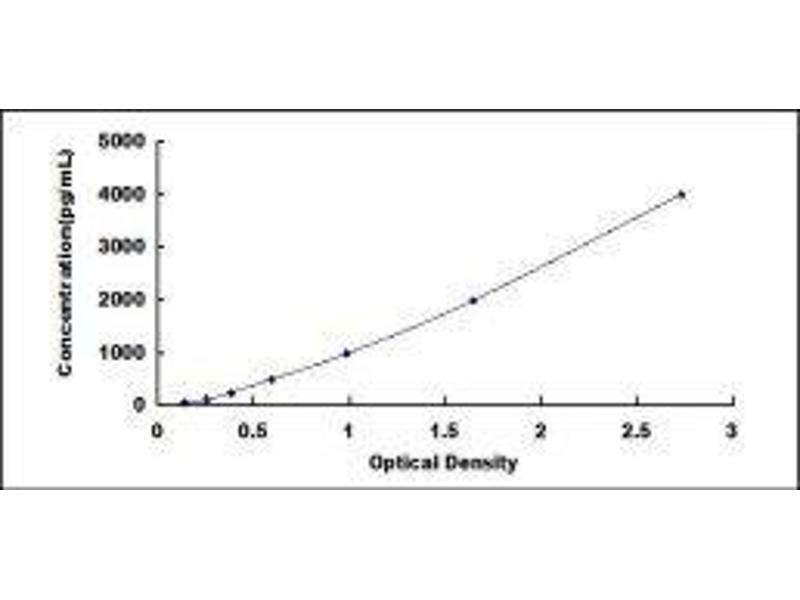 Each isoform has a distinct N-terminus\; the remainder of the protein is identical among all the isoforms. A sixth transcript variant has been described, but due to the presence of several stop codons, it is not thought to encode a protein.